This is George Bollenbacher's Alacrity "Greyhound". George sails on the Hudson River north of New York. 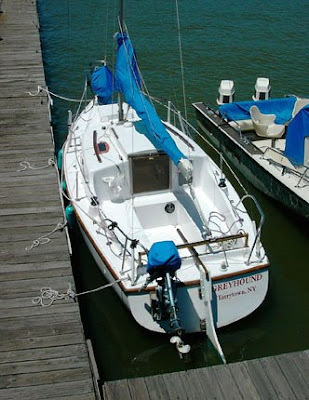 The boat is named "Greyhound" because he also owns two "retired racing hounds". 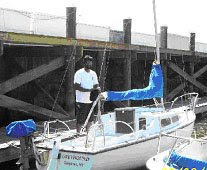 The smaller picture shows co-owner Jacob preparing "Greyhound" for a sail at the Tarrytown Marina. Edit: this boat now as a new owner.